NASCAR betting rules coming in 2019 as Dover hosts first on-track bets. As the green flag waved down over Dover International Speedway this weekend, it indicated much more than the start of the Gander Outdoors 400, part of the Monster Energy NASCAR Cup Series, at the popular Delaware raceway. 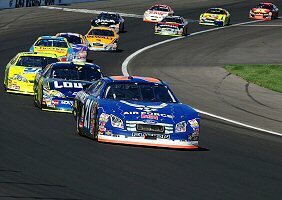 It also marked the beginning of a new era in auto race betting. The Dover racetrack launched its new on-site betting kiosk on Sunday, becoming the first NASCAR track ever to permit race gambling on location. With the introduction of sports betting, the racing association says it will be implementing gambling regulations for the sport next year. At present, there are no rules in place to direct NASCAR associates, drivers or members of their crew. All are capable of betting on races, should they choose to do so. Kyle Busch could place a bet on himself, or on any other driver. And if history has taught us anything, it’s that contestants being able to bet on themselves and/or others does not bode well for the integrity of the sport. Steve Phelps, President of NASCAR, says a whole new set of guidelines will appear in the racing rulebook next year. The regulations will address a number of gambling factors, including who can bet, what can be bet on, and the code of conduct for sponsorship. He believes drivers and teams understand “the way the rulebook looks today”, and says that clarification will come next year. No doubt, it will provide exclusions that prohibit drivers and teams from participating in auto race betting. Delaware has taken an accelerated approach to sports betting. 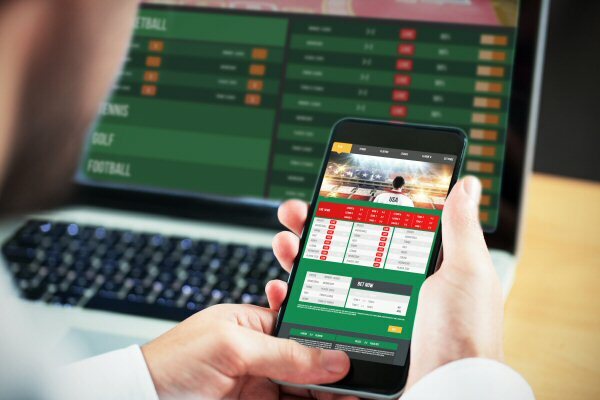 On June 5, 2018, hardly three weeks after the PASPA law was rescinded by the US Supreme Court, the necessary regulations were in place to launch a full-scale sports gambling market in the state. It took a bit longer to get on-site auto race betting on the menu. Fans were lined up at the betting kiosk outside Dover International Speedway hours before Sunday’s big race, placing their wagers on various outcomes and situations. Straight up bets on the eventual winner weren’t the only popular means of gambling. Various prop bets were made available, including things like ‘most laps led by any driver’, and the ‘total number of caution flags’ waved over the course of the race. NASCAR betting isn’t the only option, either. Delaware’s Dover International Speedway and Dover Downs each offer a wide range of professional league sports betting options at their properties; baseball, basketball, football, golf, hockey, and soccer round out the current menu. Some sports betting options are simple. Straight up bets are the easiest. “I bet $5 this team will beat that team.” Couldn’t be easier, right? Then there are some more complicated types of wagers that serious punters thrive on. If Bets and Reverse Bets are certainly among them. In general, parlays aren’t the types of wagers I’m attracted to. The more contests you pick, the longer the odds become of winning. Of course, the payout gets higher too, which is one reason some people like them. But if bets and reverse bets are a bit different. They allow parlay punters to hedge their bets, in a manner, making them less risky. As I said, these can seem like pretty complex sports parlays. But once you understand the concept, they aren’t so difficult at all. If you’re like most sports betting enthusiasts, you’ll either love them or hate them. An If Bet could be called a protected parlay. Or, you could call it a straight up bet on one team, which rolls over to the next team if it wins, and the next again if that one wins, etc. Most online sportsbooks allow punters to select between 2 and 6 picks. In order to collect any pay out, you just need the first selection to be correct. If that selection wins, you get the payout, and the original stake rolls over to the next pick. If the second selection is also correct, your profit increases, and again, the parlay continues. The bet remains active until one of your picks loses, or until all bets come in correct. If, however, the first selection loses, it’s all over—the wager is lost. For example, let’s say you place a $100 if bet on three hockey games. You choose the Maple Leaves, Canucks and Penguins to win, in that order. We’ll assume each pays even money, to make things simple, but of course, that won’t always be the case (see Understanding Sports Odds for more information). The Penguins win. You receive another $100 payout, plus your original stake back, and the bet is complete. Your profit is $300. In this way, if just one of your selections is correct, you’re guaranteed to receive at least $200. If two teams win, your receive $600. And if all three teams win, you get $1,800, plus your initial stake back. However—and this is a BIG however—your initial stake is multiplied by the number of bets being placed. In this case, there are six total bets, for a total stake of $600 ($100 each). This means that, at even-money odds, two of your selections must be correct just to break even. A profit is only made if all three are correct. If one is correct, you lose $400; if none correct, you lose $600. To have a decent chance of being profitable, reverse bets are generally made on underdog teams with long odds and high payouts for a win. If the odds are long enough, you can actually make a profit on just one team’s unlikely success. Sports betting is one of the most common gambling mechanisms in the world. Whether it’s a friendly bet between friends, an online wager with your favorite sportsbook, or laying odds at the local casino—putting action on an upcoming sporting event certainly increases the entertainment level of watching the game. Previously, in our introduction to sports betting for beginners, we covered the most basic wager of all—the straight up bet. This is a simple wager for one athlete or team to win over the other. Today, we’ll get a little more involved, covering a few intermediate types of sports wagers. There are nearly as many ways to bet on sports as there are types of sports to bet on. That’s a high number, let me tell you. We won’t get into the more complex wagering methods just yet, though. 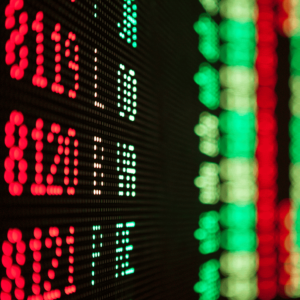 Some easy alternatives to the straight-up betting include point spreads, totals (a.k.a. over/unders), and prop bets. 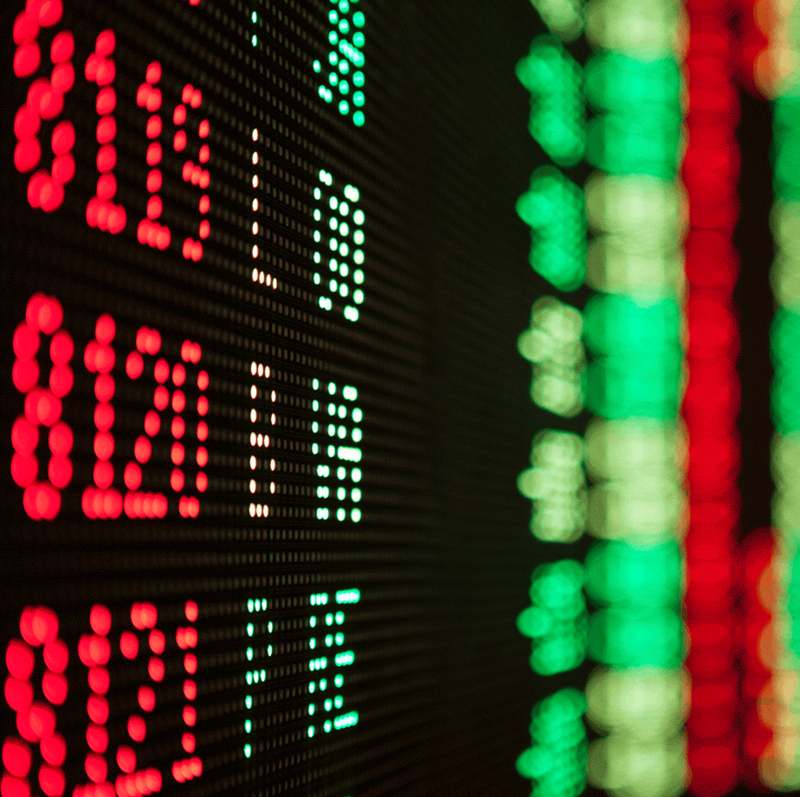 Point spread betting is extremely easy, once you become familiar with the semantics. It’s all about calculating the probable difference between how much one team scores, versus their opponents score. Point spreads are very similar to straight up bets, except that instead of picking one team to win, you’re picking a range of how many points a team will win or lose by. This means the bookmaker believes the Toronto Raptors will win by 8 points. Therefore they’ve deducted 8 points from their total score. The Celtics are the underdog, and have been given +8 points. If you choose to bet on the Raptors, they must win by more than 8 points in order for your wager to pay out. If the Raptors lose, or win by 7 points or less, the bet is lost. If you pick the Celtics, they must either win, or lose by less than 8 points in order for you to win the bet. If the Raptors lose by 8 or more points, you lose the bet. Should the game end directly on the points spread—meaning the Raptors win by exactly 8 points—it’s a tie. All player bets are lost; the bookmaker wins everything. Totals, or Over/Unders as some call them, are similar to point spreads. However, you’re not betting on a team to win/lose by a certain range of points. Instead, you’re betting that the total score between both contenders will be higher or lower—over or under—the total score estimated by the bookmaker. Let’s say the projected total score for a football game is 42. If you bet Over, you’re betting that the two teams combined will score a total of 43 or more points. If so, you win. But if the score is 42 or below, you lose. If you bet Under, you’re wagering that the total score will be 41 or less. If so, you win. But if the score is 42+, you lose. Again, if the score is exactly 42, the bookmaker claims all bets. Prop bets, short for proposition bets (a.k.a. Specials), are very different from straight up bets. It has nothing to do with winners and losers, or who scores the most. These are extremely easy sports bets on whether some particular event will occur during the game. 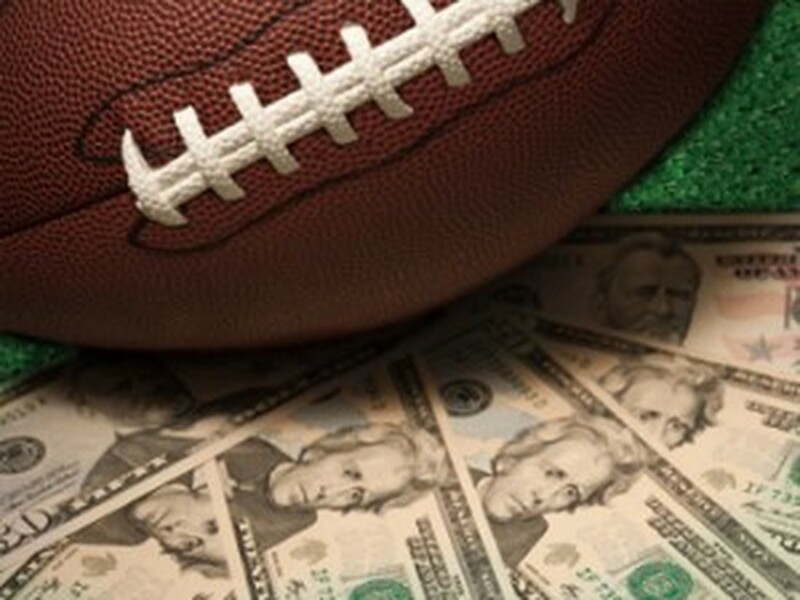 These and other prop bets can be applied to all types of sports, in many different ways. The payouts will be determined by the bookmaker, based on the likelihood of the event occurring. Once you’re familiar with some of these easier alternative sports bets, why not explore some of the more complex wagering options? See our follow-up tutorial, Advanced Sports Betting Tactics, dealing with futures, parlays, teasers and pleasers. You can also learn about special types of parlay wagers in our segment on Understanding If Bets and Reverse Bets. ULeth Prof. says Canada single-game sports betting law will broaden. Dr. Robert Wood has an academic resume a mile long. After earning a B.A. (Hons), M.A. and Ph.D in Sociology, he went on to become a Professor of Sociology, and the Dean of the School of Graduate Studies, at the University of Lethbridge in Alberta, Canada. In a recent report, Dr. Wood shares his expertise on single-game betting on sports, and how the “trickle effect” will see the Canadian government legalize this multi-billion dollar industry. Wood admits that Canada’s gambling laws are already lenient. We have land-based and online casinos, poker, bingo, lotteries, and—to a limited degree—sports wagering. However, the Pro-Line and Sport Select products currently available are more restrictive than most bettors would like. Wagers must be placed as parlays, selecting the outcomes of multiple events, as opposed to single-event betting. To the south, sports betting has been wholly illegal in all states except Nevada for more than two and a half decades. The US Supreme Court overturned that law last month, opening the levy for a flood of legal sports betting across the country. Will Single-Game Betting Become Legal in Canada? He argues that the stigma that once surrounded gambling, and even online gambling, no longer exists in Canada. Betting on single events is something that already takes place on a widespread basis in the country—or more appropriately, outside the country. An estimated $4 billion is wagered annually by Canadians through offshore websites; which are, for the record, not illegal to access. Sources indicate as much as $10 billion more is bet each year through organized crime. “You’re trying to regulate something that many people want to do and something that, for most people, is not that morally contentious anymore,” says the Professor. “Even if the government legalizes sports betting, it doesn’t mean you’re going to stop all illegal gambling,” he continues. In his expert onion, it is largely dependent “on the quality of the product”, as has been proven already by existing online gambling websites. Thus, if and when Canada does broaden its sports betting laws to include single-event wagers, provinces will need to take the extra step to provide a product that genuinely appeals to Canadian punters. Otherwise, billions of dollars will continue to flow offshore, and into the hands of criminal organizations. Being an expert on the social aspect of gambling and addiction, Dr. Wood’s opinion is highly valuable in this regard. One of the major arguments against legalization is that it will proliferate problem gambling. Professor Wood disagrees. He believes the determining factor will be the government’s willingness to reinvest “enough of the gambling revenue in a way that’s going to minimize the harm.” Unfortunately, Dr. Wood doesn’t believe Canada’s politicians have been very effective in that department. Will Single Game Sports Betting Compromise Integrity? Could expansion of Canada sports betting law lead to illegal match fixing? When the US Supreme Court ruled to overturn a 26 year old law prohibiting sports betting in all states but Nevada, it ignited a fire beneath political agendas all across Canada. One after another, advocates of legalizing single game sports betting bled from the woodwork, touting numerous benefits. At the same time, opponents began pleading their case, with a single, but ominous, message. Anti-gambling expansion crusaders fear, above all, that such an expansion would potentially compromise the integrity of Canada’s professional sports leagues. Their theory is a simple one, and one that government officials don’t seem to have an answer for; at least not yet. How do you ensure that the athletes and/or referees won’t be swayed by generous ‘donations‘ to throw a game, or make an erroneous call? If organized crime is able to infiltrate Canadian sports for profit, it could not only destroy a multi-billion dollar industry, but the beloved pastimes of fans all across the country. Sandy Garossino has spent years lobbying against the expansion of gambling. In 2011, she co-founded an organization called Vancouver Not Vegas; a successful campaign that helped to dissuade Vancouver City Council from approving the expansion of a downtown casino. She is leery of the potentially corruptive effects of single game sports betting. “You can do a lot of damage to the integrity of your oversight and regulatory culture when you make [officials] responsible for a field that is inherently at risk of infiltration by organized crime,” says Garossino. Despite those fears, the support for expansion is mounting. The very moment the US Supreme Court decision was announced, the Canada Gaming Association (CGA) spoke out in favor of single-sport betting. Others were quick to follow. The British Columbia Lottery Corp (BCLC) is another long time proponent of expansion. BCLC told Business in Vancouver in no uncertain terms that it’s on board with the idea, having supported altering the Criminal Code to permit wagers on individual games for many years. Legislation was submitted to do just that in 2012. The House of Commons unanimously passed the measure, but it failed miserably in the Senate. Manitoba MP Brian Masse renewed the charged in 2016, but this time it was the House of Commons that turned it down by a vote of 156-133. An optimistic Paul Burns, President of the CGA, believes ‘the third time’s the charm‘. In his assessment, the support of North American sports leagues, like the NBA and MLB, had everything to do with nationwide legalization in the US. He thinks similar lobbying efforts will usher in a new legislative era here in Canada, as well. If there’s one thing we can all agree on, it’s that money makes things happen. In this case, provincial governments are looking at millions, if not billions, of dollars that could be flowing into their coffers. Instead, that money is siphoning offshore to international, online sportsbooks that offer single-event betting. It’s not illegal for Canadians to access these websites. Burns points out that the Criminal Code says gambling can only be regulated and conducted by provincial governments. But since these operators are offshore, the bets don’t take place in Canada. Therefore no court challenge has ever arisen. No Canadian has ever been charged with illegal betting for using the sites. And no government agency is collecting any revenue from it. Canada single sports betting immediately on CGA’s lobbying menu. 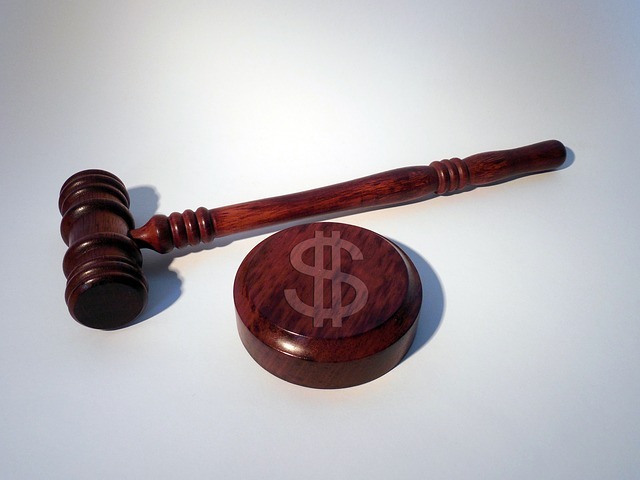 Following the US Supreme Court‘s decision on Monday to overturn a 26 year old anti-sports betting law, the Canadian Gaming Association (CGA) took immediate action. The CGA wasted no time in announcing their intention to lobby—and lobby hard—for the legalisation of single event sports betting in Canada. Sports betting of any kind has been illegal in all but one US state (Nevada) since 1992. That was the year the federal government enacted the Professional and Amateur Sports Protection Act, aka PASPA. Prior to this, sports betting was only legal in four US states. Each of the four were given an opportunity continue with legal sports betting by grandfathering in their existing laws. Only Nevada chose to do so, making sportsbooks a fiery hot commodity in Las Vegas. On Monday, May 14, 2018, the US Supreme Court voted 6-3 in favor of abolishing PASPA. As such, every state now has the right to legalise and regulate land-based and/or online sports betting activities at their discretion. Anticipating this event, more than one-third of all US states have already passed the required legislation. Their hope is to have sportsbooks open and operating before the start of the 2018-19 NFL season. Opportunistic US state legislators were not the only ones anticipating this day would come. The CGA published a statement immediately following the SCOTUS decision. It was issued so fast, in fact, there’s little doubt that it was scripted before (if not long before) the ruling came down. The press release outlines their intent to vigorously lobby for single event sports betting in Canada. The opening statement announces the CGA’s approval of the US Supreme Court decision. However, it goes on to detail the detrimental effects it could have on Canada’s own sports wagering system; unless changes to existing laws are made, and swiftly. While sports betting has been legal in Canada for decades, punters are restricted to participation in sports lotteries, or parlay betting. We must pick multiple outcomes, and all of those picks must be accurate, or the wager is lost. The odds are not appealing, to say the least. Thus the CGA’s goal is to convince Canada’s Liberal Party that amending the laws to permit single event wagers is paramount to the continued success of provincial sports gambling markets. Can CGA Break the Seven Year Curse? Provinces have been pushing for single event bets for the last seven years. A simple amendment would have granted the request, giving their regulators a greater opportunity to protect consumers, professional athletes, and the integrity of sports, by permitting single-event wagers. “This request has fallen on deaf ears,” says Burns. Bill C-290, introduced by MP Joe Comartin in 2011, spent five years floating through Canada’s lawmaking cabinets. When it languished, Bill C-221 was introduced by MP Brian Masse in 2016. Both had the same directive—to “allow for wagering on the outcome of a single sporting event”. Both failed. Despite years of opposition to single event sports betting in Canada, there’s one thing the CGA has on its side… Competition. Throughout history, the US and Canada have remained highly competitive in many major industries. What one does, the other follows. Sometimes Canada pioneers the movement; other times it’s the US that prompts our nation to act. Either way, things tend to get done much faster when there’s a challenge to remain competitive. That’s exactly where we stand now. Canadian provinces may have generated millions from its less-than-appealing parlay system up until now—with billions more going to illegal single-event gambling—but now, Canadians will have the option to head south across the border and place all the legal wagers they want. If the laws regarding Canada single sports betting don’t change soon, millions more could be lost. Canada to feel the burn as government ruling legalizes sports betting in US. For decades now, Canadians have been restricted to a very limited form of legal sports betting activities. Parlays aren’t the most advantageous type of betting. But they are the only type permitted here in Canada. Then again, for most of those years, we could at least bask in the knowledge that Americans had it much worse. Ever since the Professional and Amateur Sports Protection Act (PASPA) was passed in 1992, US punters in all but one state have been unable to bet on sports—at least, not legally. Before PASPA went into effect, four states were given the option to grandfather-in legal sports betting, but only Nevada chose to do so. Thus, any American who wanted to make a legal sports bet, traveled to Las Vegas to do it. On Monday, the US Supreme Court did away with the federal law that banned sports betting in most states. By a vote of 6-3, history was made—PASPA was repealed. This opens the doors wide for any US state to regulate sportsbooks. Not just sports betting, but the most popular form of single event sports betting. 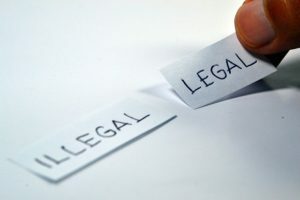 Not only are most states sure to jump aboard this lucrative market—in fact, several have already passed the necessary laws to do so in anticipation of this day—chances are it will trigger a mass expansion of US online gambling legalization as well. After all, online sportsbooks are sure to make a fortune, especially considering the exponential growth of mobile gaming. Overnight, Canada has become the underdog in the North American sports betting market. The nation’s provinces, which are currently allowed to offer nothing more than sports lotteries (parlay tickets), stand to lose millions of dollars. They’ll have to play some very quick catch-up in the legislative ledgers to prevent it. It would only make sense now for provincial governments to beseech federal lawmakers to amend the laws, post-haste. Until that’s done, major provincial gaming regulators in British Columbia, Ontario, Quebec and elsewhere won’t be able to provide their punters with equally appealing odds. No doubt, officials are already scrambling to take action. Several provinces rely very heavily on the revenue generated from land-based and online gambling. Losing millions of dollars isn’t something they’ll take kindly to. And a history of competition between Canada and their neighbors below the 49th parallel should only help to expedite the process. While this all sounds well and good, the Canadian government isn’t exactly known for its consonance. As much as regulators and experts alike know the correct path to take, there’s every chance political figureheads will spend months, even years, debating the future of sports betting laws in Canada. The country already passed up on a chance to generate millions, if not billions, of dollars from Americans in the northern states. MP Brian Masse spent years touting the benefits of legalizing single-event sports wagers, which would inevitably draw punters from all bordering US states to place their wagers at nearby Canadian casinos. But alas, every effort was dismantled. Harley Redlick, a sports writer and regular columnist for the Toronto Sun, is confident that—despite Canada’s missed opportunities of the last few years—single event sports betting will be legalized in the Great White North. Konami Gaming’s Fortune Cup™ real money horse racing sim headed for Canada casinos? If you know anything about old-school arcades and video games, the name Konami should ring a bell. Konami Gaming, Inc. has been producing first-in-class games for nearly 50 years now. Frogger, Contra, Metal Gear, Gradius, Castlevania, Silent Hill… these are just a few of their most popular series creations. In more recent years, Konami has been using its superior gaming expertise to develop real money gambling amusements, both for online and land-based casinos. This week, the company is announcing the release of what’s sure to be a hit all across North America. 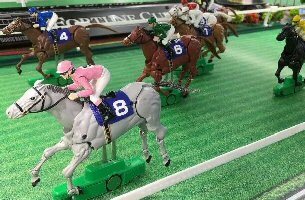 The new Fortune Cup™ game is a mechanical horse racing machine that simulates live races. Its immense in size, consisting of a 9-foot wide race track, large LCD screen, and betting stations for up to 10 players. The track is fitted with 8 mechanical horses capable of traversing to course freely and independently of one another. It’s already been lab certified to meet Nevada’s strict regulatory demands, thus we know the races are as fair as any real-life situation. The new horse race betting game is sure to change the dynamics of casinos all across North America, where it’s being heavily promoted. Konami’s creation combines modern technology with the high demand for innovation. It was specifically designed to appeal to all gamblers, especially the tech-savvy millennial generation. The actions of each horse are mimicked in real-time on the digitally animated LCD display. Players have access to odds and statistics for each runner, as well as information on a special mystery progressive jackpot, via touch-screen betting stations. Optional bets include the usual win, place and quintella. The creators have been running a trial of the Fortune Cup game in limited Las Vegas Strip casinos for several months through Nevada’s New Innovation Beta program. The field test evaluates new games that have been lab certified to determine whether they successfully meet payer demand. 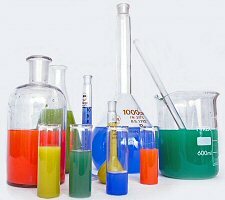 The process saves a lot of time and money for casinos and manufacturers. Following a very successful trial, the game is now live in four Vegas casinos and available for installment all across the US and Canada. Fortune Cup Coming to Canada Casinos? The only question that remains now is this; what casinos will jump on the chance to install the new mechanical horse racing game? According to this morning’s press release, Konami’s multi-station Fortune Cup machines are now available for placement in casinos all across North America. 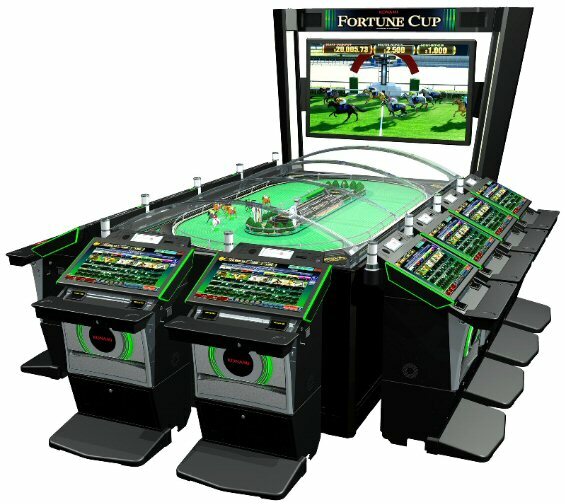 “Fortune Cup is designed to provide new entertainment options to players and appeal to a broad audience,” says Jingoli. There’s no question that horse racing is immensely popular in Canada and the US. So many of the region’s land-based casinos were first horse racing tracks, long before the slot machines and table games came along. The device may take up a lot of floor space, but it’s nothing compared to the space betting track casinos devote to live horse racing. This innovative real money horse racing sim gives stand-alone casinos a chance to compete with them in the burgeoning digital realm.